The facts, figures, images and NI assessment of Afghanistan. 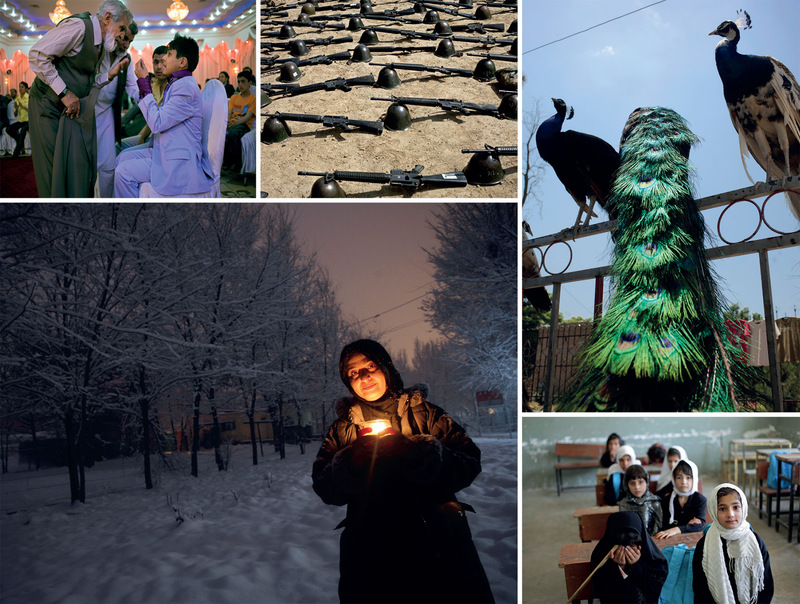 Clockwise from top left: A youth has a heated conversation with elders at a wedding held in Kabul; M16 rifles and helmets belonging to members of the Afghan National Army as they train at the Kabul Military Training Centre; peacocks for sale from a street stall in the Shahr-i-Naw neighbourhood of Kabul; girls in a classroom in Ghulam Ali, Kabul Province; poet Ogai Amail, a member of Mirman Baheer, a female literary society with roughly 100 members who meet openly in Kabul most Saturdays. Photos by Seamus Murphy / Panos Pictures. Kabul presents a striking aspect when you fly into it, particularly in winter when the mountains surrounding it are snow-capped. Among those flying into the capital at the beginning of June were representatives from 27 countries and organizations attending a conference organized by President Ghani in support of an Afghan-led peace process. Sadly for Ghani, just the week before, a truck bomb in the supposedly safe Diplomatic Zone caused 150 deaths and 500 injuries – the biggest terrorist atrocity in the capital for years. This latest attack notwithstanding, Kabul is actually by far the safest space in Afghanistan. Life there has changed a great deal since the US-led invasion of 2001 that toppled the Taliban. While vast areas of the city remain ramshackle there are now also glitzy department stores and plush residential areas catering for those who have benefited from the new political arrangements – former warlords and their associates who have found a cosy home among the political elite. The arrival of US troops in 2001 was only the latest in a long series of attempts by foreign powers to bring Afghanistan ‘under control’. The British Empire found the country particularly troublesome, while Soviet invasion in defence of a Marxist government in 1979 spawned a civil war, with the US funding proxy-warriors, including tribal groups and incipient Islamists who would later come back to bite them. Beyond Kabul and its region, the hold of the government is shaky at best and non-existent at worst. The Taliban, which notoriously imposed a hardline Islamist regime with disastrous implications for women’s rights, is now stronger than it has been at any time since it was deposed and currently controls around 40 per cent of the country, with the ability to conduct operations more or less at will in a good proportion more. ISIS also has an affiliate in Afghanistan – though it has its own issues with the Taliban. The military situation has not been helped by the withdrawal of NATO troops, which finally took place at the end of 2016, leaving a small group of 8,400 soldiers spread across four garrisons – Kabul, Kandahar, Bagram and Jalalabad. 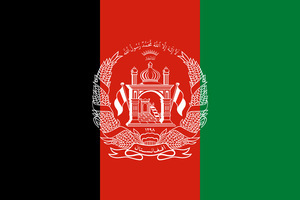 Although the Afghan army is well trained and equipped, it has been unable to do more than secure the basics and has not pushed back the Islamist forces. What often gets lost in the understandable concentration on security issues is Afghanistan’s progress in human-development terms. Under-five mortality was reduced from 121 per 1,000 live births in 2004 to 91 by 2015. The maternal mortality ratio has seen an even bigger improvement, from 710 deaths per 100,000 in 2005 to 396 in 2015. But the most striking advance has been in education. Before the downfall of the Taliban only a million children were in school, all but a handful of whom were boys. By 2014, some 15,000 new schools were home to 8.6 million children, 39 per cent of whom were girls. The number of teachers has gone up from 20,700 (almost all men) to 207,000 (34 per cent of them women). Even with 3.5 million children still out of school, this is a massive step forward. Yet all such advances continue to depend on security and the more far-flung and insecure zones continue to be neglected. Confidence in the ability of President Ghani to hold the ring is dissipating. He became leader with US backing following a disputed poll in 2014 and is supposed to be working closely with his opponent in that election, Abdullah Abdullah, who has the interesting title of ‘Chief Executive’. In practice, relations between the two remain strained, to say the least. The prospects for Ghani’s administration – and for Afghanistan as a whole – do not look good. GNI per capita $680 (Pakistan $1,400, United States $55,200). opium, fruits and nuts, handwoven carpets. 32.5 million. Annual population growth rate 1990-2015: 4.0%. People per square kilometre: 50 (UK 269). Infant mortality 66 per 1,000 live births. Lifetime risk of maternal death 1 in 52 (Greece 1 in 23,700). Both freshwater resources and supplies of safe drinking water are limited, though the country met its MDG target on the latter. There is significant overgrazing and desertification. Annual CO2 emissions per capita 0.7 tonnes (US 16.4). 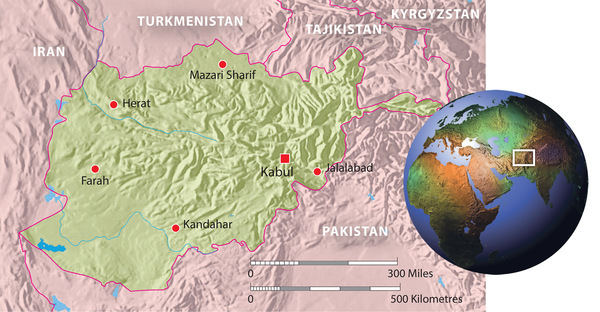 The main ethnic groups are Pashtun, Tajik, Hazara, Uzbek, though there are many smaller groups. Almost completely Muslim, with Sunni 85-90% and Shia 10-15%. The official languages are Dari or Afghan Persian (50%) and Pashto (35%); 11% speak Turkic languages such as Uzbek and Turkmen; others 4%. 0.479, 169th of 188 countries (Pakistan 0.550, US 0.920). While living standards have gone up in recent years, at least in urban areas, inequality has increased, with warlords and drug barons continuing to construct huge villas while most live below the poverty line. Girls’ education is a significant step forward in government-controlled areas, but forced marriage, domestic violence and discrimination remain common. Violence against women is prevalent. Discriminatory religious practices persist. Women’s literacy (47%) is much lower than men’s (72%). Torture is a major problem, with 39% of detainees subjected to beatings, electric shocks, or near suffocation by the police and intelligence services, according to the UN. Human rights defenders are impeded from carrying out their work and journalists encounter violence and censorship. 32% – still chronically low despite the expansion of education. Homosexuality is illegal and punishable by death or long imprisonment, though there have been no actual executions since the Taliban lost power. President Ghani promised a new broom on corruption and a new co-ordinated government, but in practice there has been little sign of either in the past couple of years. The peace process got off to a bad start, not just because of the truck bomb but also because of the mass street protests against the government that followed it, in which the police shot four people dead, including an eight-year-old boy. Finding a better alternative to the current government would also, however, be problematic.